Are classic cocktails your thing? Perhaps you are more into the new-age concoctions impressively crafted by experienced mixologists. 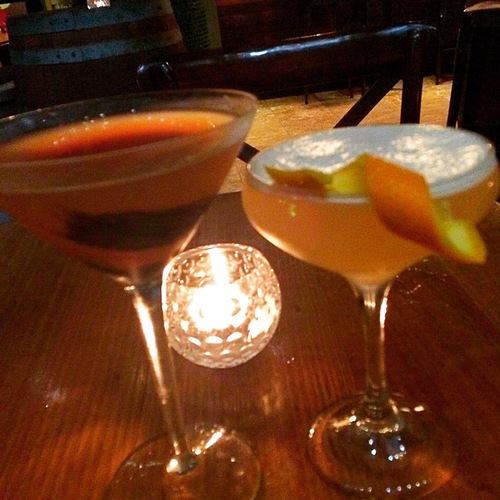 Either way, you are sure to find a drink that delights your taste buds at Rabbit Hole Bar & Dining, located on Elizabeth Street in Sydney’s CBD. Wood and Smoke: Laphroaig 10yo (Scotch Whisky), Auchentoshan Three Wood (Scotch Whisky), Jim Beam Devil’s Cut (Bourbon), acid solution, cinnamon smoke and bitters. 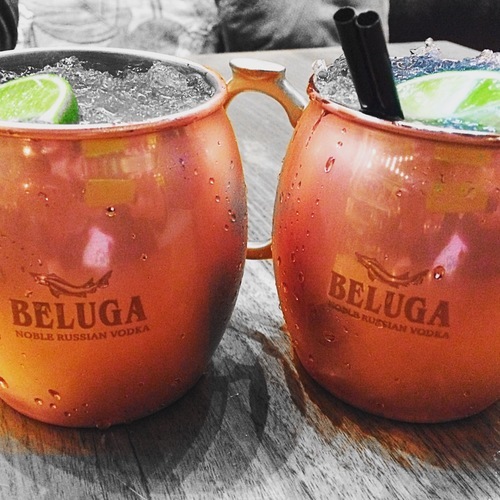 Beluga Mule: (this drink was on special on the day of my visit), and contained traditional Moscow Mule ingredients: high-quality vodka (Beluga), a spicy ginger beer and lime juice, garnished with a lime wedge. Kraken’s Prey: Kraken rum, Licor 43 (Spanish liqueur), vanilla, lime and chocolate bitters topped off with a squid ink garnish. Smoking Agave: Mina Real Mezcal (Tequila), Sauza Gold (Tequila), Pavan (French liqueur), lemon and egg white. All of the drinks were delicious. My tip, make a visit to Rabbit Hole Bar & Dining when you have ample time on your side. The drinks are fabulous, but they are made with lots of love…and plenty of time to get them just right. UPDATE: Sadly, this establishment closed in 2017…I’m starting to see a pattern here.